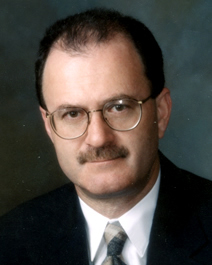 Dr. Markus Kornberg came to Kissimmee in May 1985 after serving as the Director of The Spine Surgery Service at the Portsmouth Naval Hospital in Virginia. He received his medical degree from Tufts University in Boston, Massachusetts. In 1977 Dr. Kornberg completed a one year surgical internship at the Naval Regional Medical Center in Portsmouth. He served as the Medical Officer aboard the U.S.S. Mount Whitney from 1978-1979. During the next four years, he completed his residency in orthopaedic surgery at the Naval Regional Medical Center then traveled to the University of Miami School of Medicine where he completed a spine surgery preceptorship. Dr. Kornberg has published over two dozen manuscripts on spinal disorders. He is a diplomate of the American Board of Orthopaedic Surgery, a Fellow of the American Academy of Orthopaedic Surgeons and a member of the North American Spine Society.